Subaru of America is recalling certain 2013 Subaru Outback and Legacy models due to a steering column assembly problem that may cause the driver to lose control of the vehicle. Affected by the recall are 5,379 model year 2013 Subaru Outback and Legacy vehicles manufactured between February 2012 and June 2012. The vehicles in question contain faulty steering column assembly shafts, which may disengage from one another. As a result, the disengaged shafts may cause the driver to lose control of the vehicle, thus increasing the likelihood of a crash, according to the National Highway Traffic Safety Administration. Subaru began notifying customers of the recall on May 14, 2013. Owners that have not been contacted can call Subaru at 1-800-782-2783. Subaru’s recall campaign number is WQI-45. Concerned drivers may also contact the National Highway Traffic Safety Administration’s Vehicle Safety Hotline at 1-888-327-4236 or visit www.safercar.gov. NHTSA’s campaign number is 13V194000. The automaker first discovered the steering column assembly problem last June during a visual inspection of vehicles at Subaru Yard Operations in Lafayette, Indiana. Subaru received a complaint pertaining to steering loss in February 2013 and issued its first Technical Report regarding the issue in April 2013. As a result of the Technical Report, Subaru launched and investigation, which it concluded earlier this month. After finishing its investigation, Subaru determined that the inner and outer shafts housed in the steering column assembly were not sufficiently press fit. The insufficient contact between the inner and outer shafts allowed the components to disengage, resulting in loss of vehicle control. This week’s recall is the latest in a string of recalls issued by Subaru this year. The carmaker ushered in 2013 by recalling nearly 634,000 vehicles in the United States over a fire-related defect. According to the NHTSA, certain vehicles may be equipped with defective puddle lights, which may short circuit and ignite. 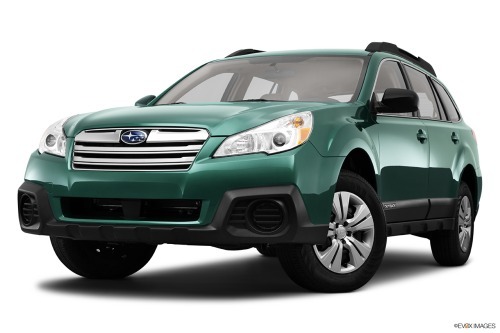 The January recall concerned model year 2009-2012 Subaru Forrester, 2010-2011 Subaru Legacy, 2010-2011 Subaru Outback, and 2006-2007 Subaru Tribeca models. Click here for Torque News’ report on the recall. In March, Subaru recalled about 50,000 vehicles in the United States and Canada because they might start on their own. The defect, which was caused by a remote starter malfunction, affected 2010-2013 Subaru Legacy, Impreza, Outback and XV Crosstrek models. Click here for more information regarding the recall. The automaker also issued two separate recalls in April: one involving a brake defect, and another concerning malfunctioning airbags. The larger recall affected 200,000 model year 2005-2009 Subaru Outback and Legacy vehicles—that according to the NHTSA—may suffer from brake line corrosion and fluid leakage. Impacting just 400 vehicles, Subaru also recalled 2012 Legacy sedans and Outback wagons in April over a side-curtain airbag defect that may cause improper airbag deployment.